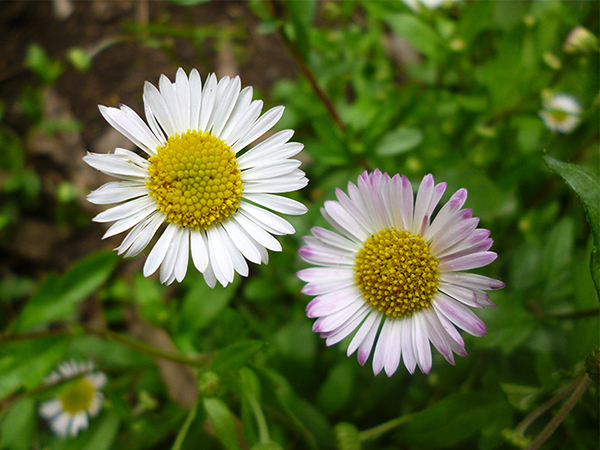 Mexican daisies (Erigeron) self-seed around the patio steps. These beautiful little plants are actually considered undesirable in New Zealand, and aren't allowed to be propagated or sold in nurseries. No-one told them about seeding! 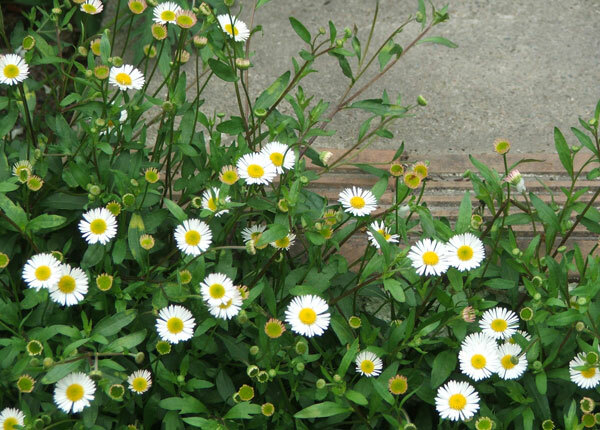 They are perfect for filling up crevices in stone walls, and are always finding places to grow between my patio pavers. This is why I like them - other gardeners may not be so generous! The Moosey cats spent much of the summer lounging around on the patio. And so the cute little pinky-white flowers make the perfect backdrop for many of my cat photographs. 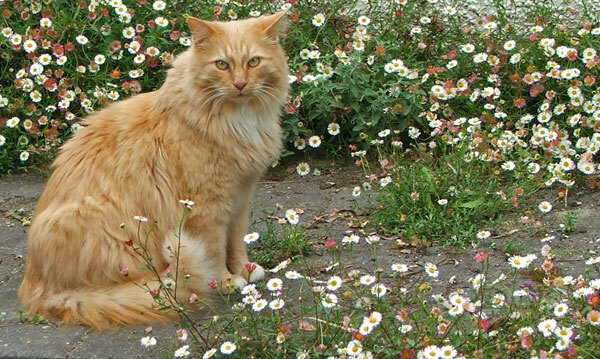 Here's a favourite picture of Fluff-Fluff in the Mexican Daisies. And here's ginger Percy, looking extremely ornamental. 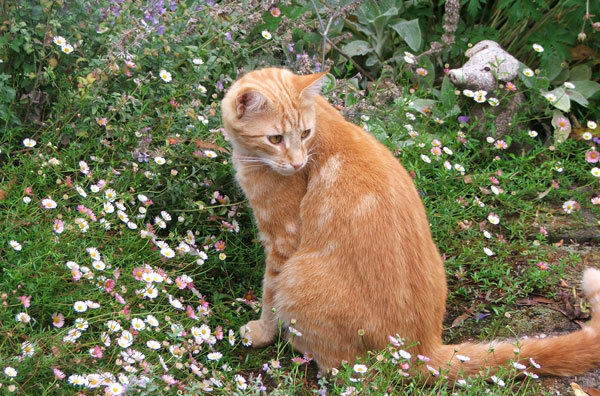 Cats and daisies are such a pretty pairing. 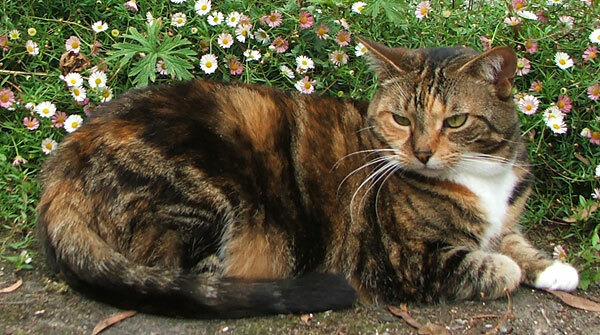 Not to be outdone, here's Tiger the tortoiseshell, relaxing after a hard day's work doing what senior cats do - finding some sunshine to warm up her rather expansive tummy!